I’m pleased that the 12″ U Weave square loom creates a super nice sized, rustic washcloth that’s about 11″ off the loom. 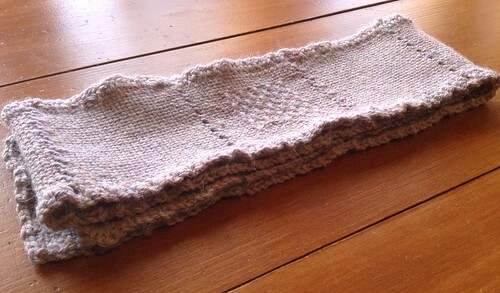 Here’s one I wove with a slubby organic cotton. Paired with some soap, this would make a nice gift. What a cool present! My husband bought me an IPod Touch–just because–and I’ve been playing on it non-stop for the past three days. Once you get one of these little devices, however, you realize pretty quickly they need to be covered, so I brought out my box of finished Weave-It squares and stitched four together to create this little pouch. It’s not waterproof, but hopefully it will keep it safe while in my purse. I hand-stitched two squares together on three sides, and then added another square directly on top of those two to create two openings: one for the IPod, one for headphones. A fourth square was stitched on the top edge to fold over and become the cover. Because the screen gets smeared all the time, I tacked a screen cloth into the back for easy access. If I keep the IPod facing the screen cleaner, it actually keeps it pretty smudge-free. But back to the question–why do I need another loom? 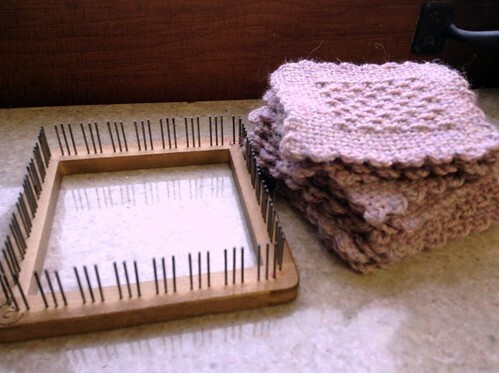 In this case, the answer is pretty simple–I don't have a small gauge loom. At all! Plus, I really like double-knit. So, there. That's why I plotted and planned and waited and finally purchased my new knitting board today. I have plans for two Christmas presents to be knitted on this board, so I'd better get knitting. 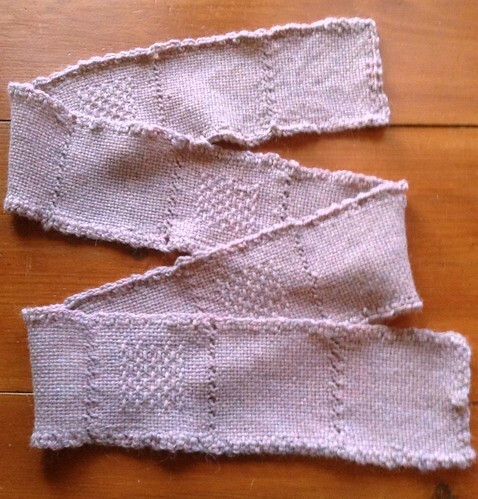 As far as patterns, there are some free patterns on the Authentic Knitting Board website. I discovered a few more on the Lion Brand pattern site, and there is a fairly new Yahoo group for the knitting board, not to mention the other sites, boards, listservs, and Ravelry groups that include knitting board information along with knitting looms, so I think I'll have more than enough to think about. What I'm most excited about is moving away from super bulky yarn for a few projects. I bought this hand-dyed wool blend this weekend, and at first I wasn't certain I was wise to spend that $25. (Yes, $25!). The colors, although lovely, seemed to cry out "baby blanket." However, now that I see it on the Weave-it, I sorta like it. It could even turn it into something other than a baby blanket, especially since I don't know anyone with a baby, and I don't have a long enough attention span to make a blanket. The nice thing about Weave-it squares is that you can keep on weaving them and then decide what you're going to make after you have a nice pile. 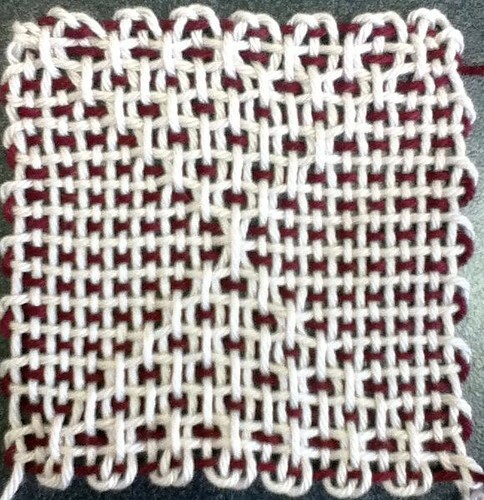 These are my first two squares made with my pre-patented Weave-it with the goofy numbering. After I read Jana's instructions, I was able to correctly wind the yarn and weave the 4th row. Thanks, Jana!